This article is about the philosopher. For the vase painter, see Epiktetos. Epictetus (/ˌɛpɪkˈtiːtəs/; Greek: ΕΠΙΚΤΗΤΟΣ, Epíktētos; c. 55 – 135 AD) was a Greek Stoic philosopher. He was born a slave at Hierapolis, Phrygia (present day Pamukkale, Turkey) and lived in Rome until his banishment, when he went to Nicopolis in northwestern Greece for the rest of his life. His teachings were written down and published by his pupil Arrian in his Discourses and Enchiridion. Epictetus was born c. 55 A.D., presumably at Hierapolis, Phrygia. The name his parents gave him is unknown; the word epíktetos (ἐπίκτητος) in Greek simply means "gained" or "acquired"; the Greek philosopher Plato, in his Laws, uses the term as property that is "added to one's hereditary property". He spent his youth as a slave in Rome to Epaphroditos, a wealthy freedman and secretary to Nero. Early in life, Epictetus acquired a passion for philosophy and, with the permission of his wealthy owner, he studied Stoic philosophy under Musonius Rufus, which allowed him to rise in respectability as he grew more educated. Somehow, he became crippled. Origen stated that his leg was deliberately broken by his master. Simplicius stated that he had been lame from childhood. Epictetus obtained his freedom sometime after the death of Nero in 68 A.D., and he began to teach philosophy in Rome. About 93 A.D. Emperor Domitian banished all philosophers from the city, and Epictetus went to Nicopolis in Epirus, Greece, where he founded a philosophical school. His most famous pupil, Arrian, studied under him when a young man (c. 108 A.D.) and claimed to have written the famous Discourses from his lecture notes, which he argued should be considered comparable to the Socratic literature. Arrian describes Epictetus as being a powerful speaker who could "induce his listener to feel just what Epictetus wanted him to feel." Many eminent figures sought conversations with him. Emperor Hadrian was friendly with him, and may have listened to him speak at his school in Nicopolis. He lived a life of great simplicity, with few possessions. He lived alone for a long time, but in his old age he adopted a friend's child who otherwise would have been left to die, and raised him with the aid of a woman. It is unclear whether Epictetus and she were married. He died sometime around 135 A.D. After his death, according to Lucian, his oil lamp was purchased by an admirer for 3,000 drachmae. No writings by Epictetus are known. His discourses were transcribed and compiled by his pupil Arrian (author of the Anabasis Alexandri). The main work is The Discourses, four books of which have been preserved (out of the original eight). Arrian also compiled a popular digest, entitled the Enchiridion, or Handbook. In a preface to the Discourses that is addressed to Lucius Gellius, Arrian states that "whatever I heard him say I used to write down, word for word, as best I could, endeavouring to preserve it as a memorial, for my own future use, of his way of thinking and the frankness of his speech." Epictetus maintains that the foundation of all philosophy is self-knowledge, that is, the conviction of our ignorance and gullibility ought to be the first subject of our study. Logic provides valid reasoning and certainty in judgment, but it is subordinate to practical needs. The first and most necessary part of philosophy concerns the application of doctrine, for example, that people should not lie. The second concerns reasons, e.g. why people should not lie. While the third, lastly, examines and establishes the reasons. This is the logical part, which finds reasons, shows what is a reason, and that a given reason is a correct one. This last part is necessary, but only on account of the second, which again is rendered necessary by the first. Both the Discourses and the Enchiridion begin by distinguishing between those things in our power (prohairetic things) and those things not in our power (aprohairetic things). That alone is in our power, which is our own work; and in this class are our opinions, impulses, desires, and aversions. What, on the contrary, is not in our power, are our bodies, possessions, glory, and power. Any delusion on this point leads to the greatest errors, misfortunes, and troubles, and to the slavery of the soul. Practice then from the start to say to every harsh impression, "You are an impression, and not at all the thing you appear to be." Then examine it and test it by these rules you have, and firstly, and chiefly, by this: whether the impression has to do with the things that are up to us, or those that are not; and if it has to do with the things that are not up to us, be ready to reply, "It is nothing to me." Reason alone is good, the irrational is evil, and the irrational is intolerable to the rational. The good person should labour chiefly on their own reason; to perfect this is in our power. To repel evil opinions by the good is the noble contest in which humans should engage; it is not an easy task, but it promises true freedom, peace of mind (ataraxia), and a divine command over the emotions (apatheia). We should especially be on our guard against the opinion of pleasure because of its apparent sweetness and charms. The first object of philosophy, therefore, is to purify the mind. Epictetus teaches that the preconceptions (prolepsis) of good and evil are common to all. Good alone is profitable and to be desired, and evil is hurtful and to be avoided. Different opinions arise only from the application of these preconceptions to particular cases, and it is then that the darkness of ignorance, which blindly maintains the correctness of its own opinion, must be dispelled. People entertain different and conflicting opinions of good, and in their judgment of a particular good, people frequently contradict themselves. Philosophy should provide a standard for good and evil. This process is greatly facilitated because the mind and the works of the mind are alone in our power, whereas all external things that aid life are beyond our control. The essence of divinity is goodness; we have all good that could be given to us. The deities too gave us the soul and reason, which is not measured by breadth or depth, but by knowledge and sentiments, and by which we attain to greatness, and may equal even with the deities. We should, therefore, cultivate the mind with special care. If we wish for nothing, but what God wills, we shall be truly free, and all will come to pass with us according to our desire; and we shall be as little subject to restraint as Zeus himself. Every individual is connected with the rest of the world, and the universe is fashioned for universal harmony. Wise people, therefore, will pursue, not merely their own will, but also will be subject to the rightful order of the world. We should conduct ourselves through life fulfilling all our duties as children, siblings, parents, and citizens. For our country or friends we ought to be ready to undergo or perform the greatest difficulties. The good person, if able to foresee the future, would peacefully and contentedly help to bring about their own sickness, maiming, and even death, knowing that this is the correct order of the universe. We have all a certain part to play in the world, and we have done enough when we have performed what our nature allows. In the exercise of our powers, we may become aware of the destiny we are intended to fulfill. We are like travellers at an inn, or guests at a stranger's table; whatever is offered we take with thankfulness, and sometimes, when the turn comes, we may refuse; in the former case we are a worthy guest of the deities, and in the latter we appear as a sharer in their power. Anyone who finds life intolerable is free to quit it, but we should not abandon our appointed role without sufficient reason. The Stoic sage will never find life intolerable and will complain of no one, neither deity nor human. Those who go wrong we should pardon and treat with compassion, since it is from ignorance that they err, being as it were, blind. It is only our opinions and principles that can render us unhappy, and it is only the ignorant person who finds fault with another. Every desire degrades us, and renders us slaves of what we desire. We ought not to forget the transitory character of all external advantages, even in the midst of our enjoyment of them; but always to bear in mind that they are not our own, and that therefore, they do not properly belong to us. Thus prepared, we shall never be carried away by opinions. Wherever thy decree has fixed my lot. Wicked and wretched would I follow still. (Diogenes Laërtius quoting Cleanthes; quoted also by Seneca, Epistle 107.)" O Crito, if it thus pleases the gods, thus let it be. The philosophy of Epictetus is well known in the U.S. military through the writings and example of James Stockdale, the 1992 vice presidential candidate of Ross Perot and a fighter pilot who was shot down while serving in the Vietnam War. He was introduced to the works of Epictetus while at Stanford University. In Courage under Fire: Testing Epictetus's Doctrines in a Laboratory of Human Behavior (1993), Stockdale credits Epictetus with helping him endure his seven and a half years in captivity, which included torture and four years in solitary confinement. When he was shot down, he reportedly said to himself "I'm leaving the world of technology and entering the world of Epictetus!" as he bailed out. The philosophy of Epictetus was an influence on the Roman Emperor Marcus Aurelius (121 to 180 A.D.) whose reign was marked by wars with the resurgent Parthia in western Asia and against the Germanic tribes in Europe. Aurelius quotes from Epictetus repeatedly in his own work, Meditations, written during his campaigns in central Europe. In the sixth century, the Neoplatonist philosopher Simplicius, who was persecuted for his pagan beliefs during the reign of Justinian, wrote an extant commentary on the Enchiridion. At the end of the commentary Simplicius wrote: "Nor does my writing this commentary prove beneficial to others only, for I myself have already found great advantage from it, by the agreeable diversion it has given me, in a season of trouble and public calamity." George Long considered the commentary "worth reading", but then opined, "But how many will read it? Perhaps one in a million." When Bernard Stiegler was imprisoned for five years for armed robbery in France, he assembled an "ensemble of disciplines," which he called (in reference to Epictetus) his melete. This ensemble amounted to a practice of reading and writing that Stiegler derived from the writings of Epictetus. This led to his transformation, and upon being released from incarceration he became a professional philosopher. Stiegler tells the story of this transformation in his book, Acting Out. The philosophy of Epictetus plays a key role in the 1998 novel by Tom Wolfe, A Man in Full. 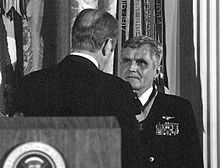 This was in part the outcome of discussions Wolfe had with James Stockdale (see above). The character Conrad, who through a series of mishaps finds himself in jail, and accidentally gets a copy of the Enchiridion of Epictetus, the Stoics manual, finds a philosophy that strengthens him to endure the brutality of the jail environment. He experiences Joseph Campbell's 'hero's journey' call to action and becomes a strong, honorable, undefeatable protagonist. The importance of Epictetus' Stoicism for Stockdale, its role in A Man in Full, and its significance in Ridley Scott's Gladiator is discussed by William O. Stephens in The Rebirth of Stoicism? “Everything has two handles, the one by which it may be carried, the other by which it cannot” is the theme of Disturbances in the Field (1983), by Lynne Sharon Schwartz. Lydia, the central character, turns often to The Golden Sayings of Epictetus—the latter being a modern selection from the writings of Epictetus, compiled and translated by Hastings Crossley. A line from the Enchiridion is used as a title quotation in The Life and Opinions of Tristram Shandy, Gentleman by Laurence Sterne, which translates to, "Not things, but opinions about things, trouble men." The quotation alludes to a theme of the novel about how the suffering of many of its characters (above all Walter Shandy) is the result of the opinions and assumptions they make about reality. This is similar to Shakespeare's "There is nothing either good or bad, but thinking makes it so." - Hamlet: Act 2, Scene 2, and John Milton's "The mind is its own place, and in itself can make a heaven of hell, a hell of heaven." Epictetus is mentioned in A Portrait of the Artist as a Young Man by James Joyce: in the fifth chapter of the novel the protagonist Stephen Daedalus discusses Epictetus's famous lamp with a dean of his college. Epictetus also is mentioned briefly in Franny and Zooey by J. D. Salinger, and is referred to by Theodore Dreiser in his novel Sister Carrie. Both the longevity of Epictetus's life and his philosophy are alluded to in John Berryman's poem, "Of Suicide." But tell bags full of many a crown. When he saw me, he invited me to drink with him very courteously, and I being willing to be entreated, we tippled and chopined together most theologically. In the meantime came Cyrus to beg one farthing of him for the honour of Mercury, therewith to buy a few onions for his supper. No, no, said Epictetus, I do not use in my almsgiving to bestow farthings. Hold, thou varlet, there's a crown for thee; be an honest man." Psychologist Albert Ellis, the founder of Rational Emotive Behavior Therapy, credited Epictetus with providing a foundation for his system of psychotherapy. Kiyozawa Manshi, a controversial reformer within the Higashi Honganji branch of Jodo Shinshu Buddhism cited Epictetus as one of the three major influences on his spiritual development and thought. Epictetus' philosophy is an influence on the acting method introduced by David Mamet and William H. Macy, known as Practical Aesthetics. The main book that describes the method, The Practical Handbook for the Actor, lists the Enchiridion in the bibliography. Epicurus also addressed the relationship between morality and suffering. Buddha also addressed the relationship between morality and suffering. ^ Graver, Margaret. "Epictetus". In Zalta, Edward N. (ed.). Stanford Encyclopedia of Philosophy. ^ His year of birth is uncertain. He was born a slave. He must have been old enough to teach philosophy by the time Domitian banished all philosophers from Rome c. 93 A.D, because he was among those who left the city. He also describes himself as an old man to Arrian c. 108 A.D. cf. Discourses, i.9.10; i.16.20; ii.6.23; etc. ^ "Perseus Tuft Greek Word Study Tool, 'ἐπίκτητος'". ^ "Plato, Laws, section 924a". ^ Origen, Contra Celcus. vii. ^ a b Simplicius, Commentary on the Enchiridion, 13. ^ Aulus Gellius, Attic Nights, xv. 11. ^ a b c Epictetus, Discourses, prologue. ^ Epictetus, Discourses, i.11; ii.14; iii.4; iii. 7; etc. ^ Historia Augusta, Hadrian, 16. ^ A surviving second or third century Altercatio Hadriani Et Epicteti gives a fictitious account of a conversation between Hadrian and Epictetus. ^ Simplicius, Commentary on the Enchiridion, 46. There is also a joke at Epictetus' expense in Lucian's Life of Demonax about the fact that he had no family. ^ Simplicius, Commentary on the Enchiridion, 46. He may have married her, but Simplicius' language is ambiguous. ^ He apparently was alive in the reign of Hadrian (117–138). Marcus Aurelius (born 121 A.D.) was an admirer of him, but never met him, and Aulus Gellius (ii.18.10) writing mid-century, speaks of him as if belonging to the recent past. ^ Lucian, Remarks to an illiterate book-lover. ^ Photius, Bibliotheca, states that there were eight books. ^ B., Stockdale, James (1995). Thoughts of a philosophical fighter pilot. Stanford, Calif.: Hoover Institution Press. ISBN 0817993916. OCLC 32625408. ^ Bernard Stiegler, Acting Out (Stanford: Stanford University Press, 2009). ^ Laurence Sterne, The Life and Opinions of Tristram Shandy, Gentleman, ed. Ian Campbell Ross (Oxford Univ. Press, 1983), p. 540. ^ (pgs. 202–203 of the Penguin Edition). ^ Green, Adam (2003-10-13). "Ageless, Guiltless". The New Yorker. ^ Schatzman, Morton (2007-07-30). "Albert Ellis: Psychotherapist who preached a rational, behavioural approach". The Independent. Archived from the original on 2007-10-18. ^ Burkeman, Oliver (2007-08-10). "Albert Ellis: Influential American psychologist who led the revolution in cognitive therapy". The Guardian. Discourses and Selected Writings, Robert Dobbin (trans. ), Oxford: Penguin Classics, 2008 ISBN 978-0-14-044946-4. The Discourses (The Handbook, Fragments), Robin Hard (trans. ), Christopher Gill (contrib. ), Everyman Edition, 2003 ISBN 0-460-87312-1. Epictetus Discourses: Book 1, Robert Dobbin (trans. ), (Clarendon Later Ancient Philosophers), Oxford: Clarendon Press, 1998 ISBN 0-19-823664-6. The Handbook, Nicholas P. White (trans. ), Indianapolis: Hackett, 1983 ISBN 0-915145-69-3. Enchiridion, George Long (trans. ), New York: A. L. Burt, 1955 (reprint: New York: Dover, 2004) ISBN 0-87975-703-5. The Discourses, trans. W. A. Oldfather. 2 vols. (Loeb Classical Library edition.) Cambridge, MA: Harvard University Press, 1925 and 1928. ISBN 0-674-99145-1 and ISBN 0-674-99240-7. Jonathan Barnes, Logic and Imperial Stoa, Leiden: Brill, 1997 (Chapter Three: Epictetuts, pp. 24–127). Adolf Friedrich Bonhoffer, The Ethics of the Stoic Epictetus, William O. Stephens trans., Bern: Peter Lang, 2000 ISBN 0-8204-5139-8. Michel Foucault, The Hermeneutics of the Subject: Lectures at the Collège de France, 1981–1982, New York: Picador, 2005 ISBN 0-312-42570-8. Pedro P. Fuentes González. art. "Épictète", in R. Goulet (ed. ), Dictionnaire des Philosophes Antiques III, Paris, CNRS, 2000, pp. 106–151 ISBN 2-271-05748-5. Brian E. Johnson, The Role Ethics of Epictetus: Stoicism in Ordinary Life, Lanham: Lexington Books, 2014 ISBN 978-0739179673. A. A. Long, Epictetus: A Stoic and Socratic Guide to Life, Oxford: Oxford University Press, 2002 ISBN 0-19-924556-8. Theodore Scaltsas, Andrew S. Mason (ed. ), The Philosophy of Epictetus. Oxford: Oxford University Press, 2007 ISBN 978-0-1995-8551-9. Keith Seddon, Epictetus' Handbook and the Tablet of Cebes: Guides to Stoic Living, Routledge, 2005. Werner Sohn, EPICTETUS: Ein erzkonservativer Bildungsroman mit liberalen Eselsohren (German version) Norderstedt: BoD, 2010 ISBN 978-3-8391-5231-7. William O. Stephens, Stoic Ethics: Epictetus and Happiness as Freedom, London: Continuum, 2007 ISBN 0-8264-9608-3. Epicteti dissertationes ab Arriano digestae, Heinrich Schenkl (ed. ), Lipsiae, in aedibus B. G. Teubneri, 1916. Graver, Margaret. "Epictetus". In Zalta, Edward N. (ed.). Stanford Encyclopedia of Philosophy. "Epictetus". Internet Encyclopedia of Philosophy.